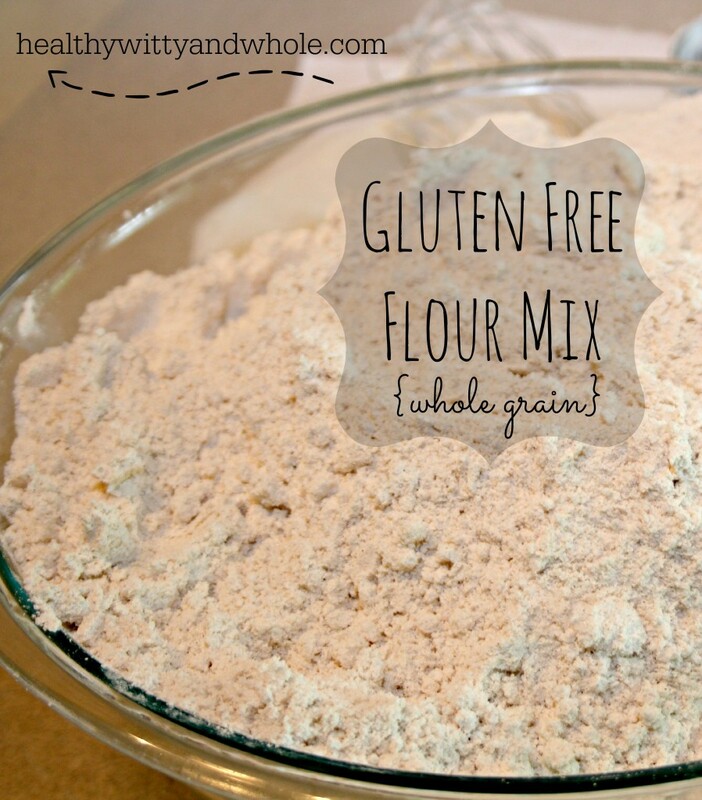 Here’s my easy, whole grain gluten free flour mix I use in all my recipes. I’ve made everything from biscuits, brownies, cookies, cakes, and pizza dough from this mix. Mix well. 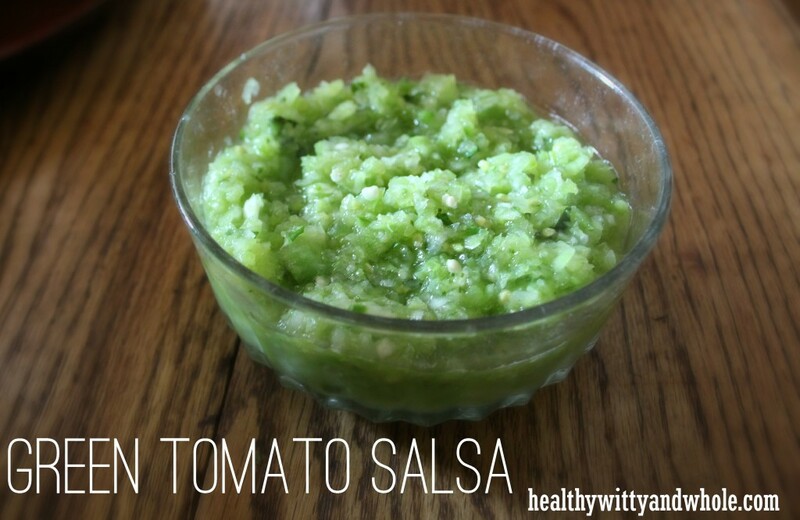 I make large batches of this and store it in the freezer for freshness! Please note: I used homemade chicken stock in this recipe. Chicken stock is the golden liquid that is created by cooking chicken bones in water for at least 24 hours. It’s different than regular chicken broth which is the product of cooking chicken. If you don’t have chicken stock, then broth is a great substitute. Although not as nutritious and full of gelatin. Put quinoa, stock, water, and salt in a medium saucepan. Let simmer for 20-30 minutes or until the liquid is absorbed into the quinoa and it is light and fluffy. Set aside. Saute onion in butter until translucent. Stir in flour and mix thoroughly. Turn on simmer and cook for 3 minutes. Slowly mix in chicken stock while stirring rapidly. 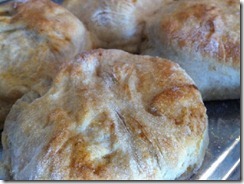 Turn up heat to medium and cook while stirring until thick and bubbly. Mix in chicken and basil and simmer for 5-10 minutes. To serve, place quinoa in portion sizes on plates. 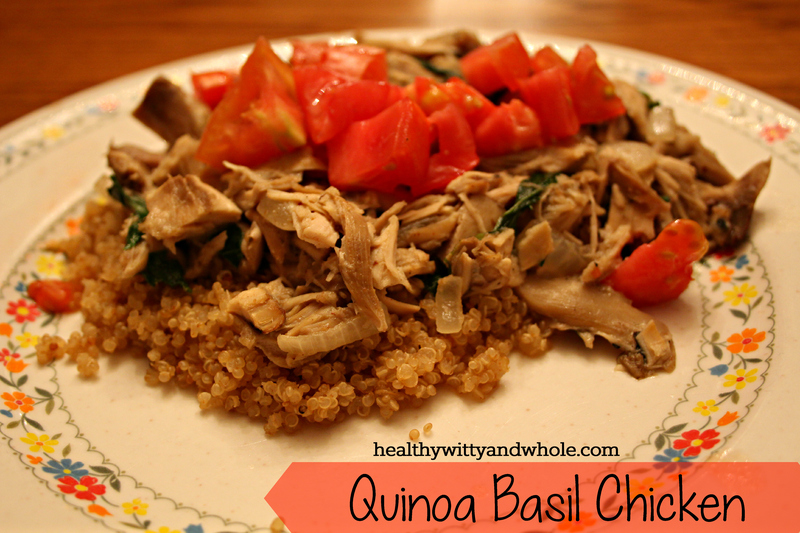 Top with the basil chicken and tomatoes. It’s no secret we’re a chocolate loving family. Most of us love dark chocolate, (what does milk chocolate even meeaaaaann??). 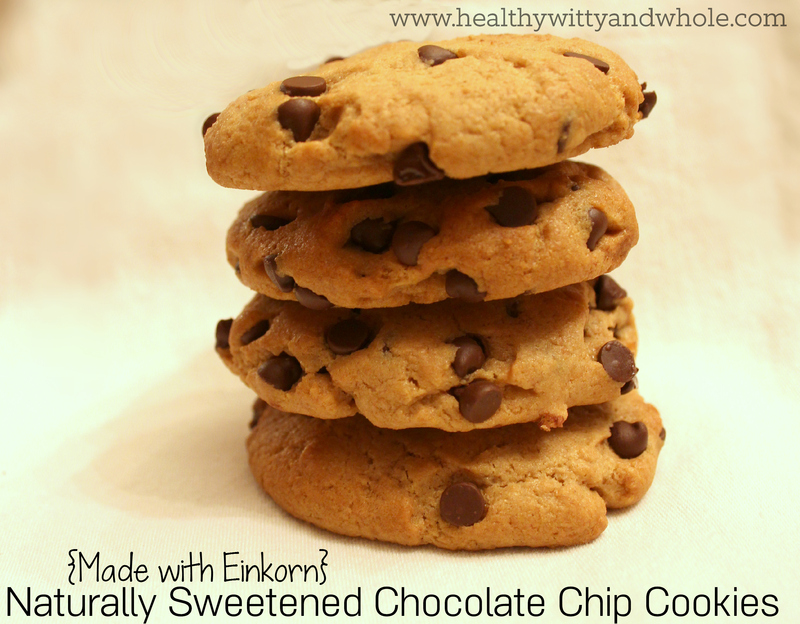 Chocolate Chip cookies used to be a weekly staple in our house before we severely cut back on sugar a few years ago. Now, have them occasionally and I’ve played around with both gluten-free and whole wheat versions. I’m using honey and powdered sucanat as the sweeteners. To make powdered sucanant simply blend it until it is powdery. I usually put about 2 cups in my Vitamix and blend it at least a minute and a half. As far as the butter goes, you can substitute an alternative, such as palm shortening, if you’re dairy free. I’ve yet to do this, because I can have butter, but I’d love to try it to see. I’ll keep y’all posted. Cream butter, honey, and sucanat until light and fluffy. Add eggs and extracts, mix well. Slowly add dry ingredients. Last and most importantly, add the chocolate chips! Line cookie tray with parchment paper, not necessary, but takes a lot of clean up time out. To make an even, professional looking cookie, scoop dough in a Tablespoon ice cream scoop (or dough scoop if you have one) and drop on the cookie sheets. Gently press flat (about ½" thick) with a glass (or if you're me, your hand). Bake at 375 for 7-9 minutes. Makes about 4 dozen. 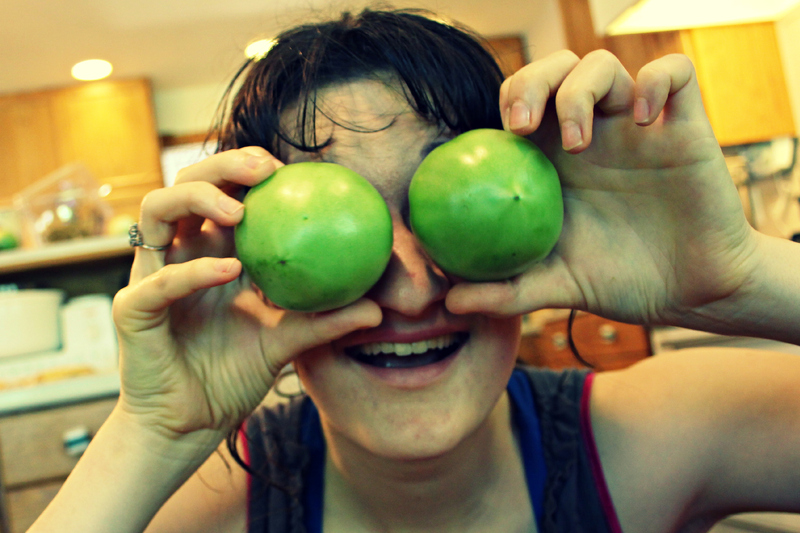 Weird things happen when I cook with tomatoes. Especially green ones. Let’s just leave it at that. I used a Ninja to blend all the ingredients together. I chopped the tomatoes into quarters. 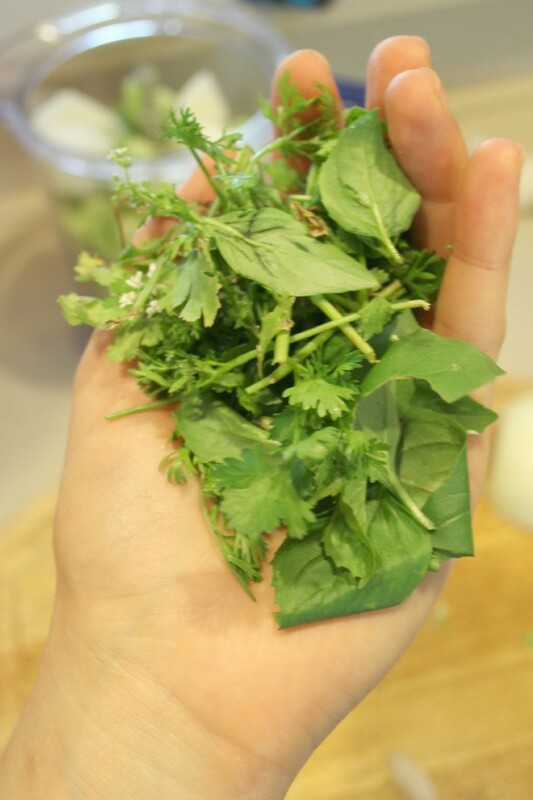 I gathered a handle of cilantro with a few leaves basil mixed in from our garden. Literally. A handful. 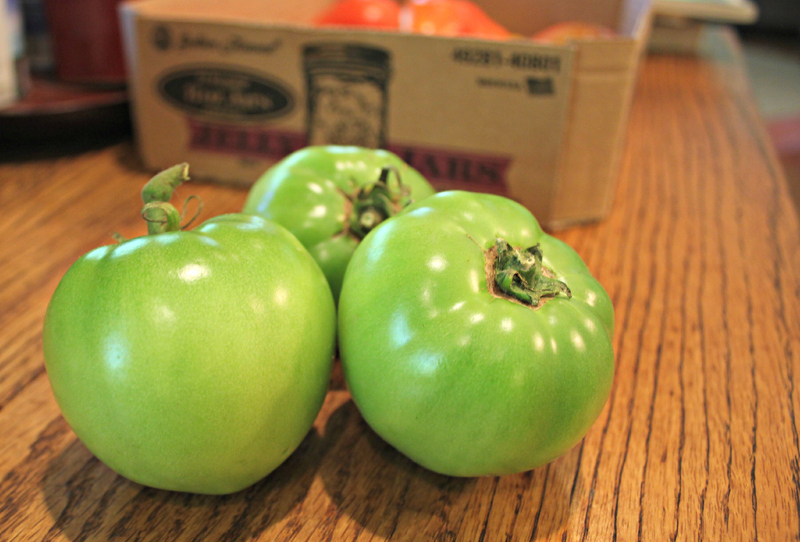 ;-) Wash and take the leaves off then toss them in with the tomatoes. 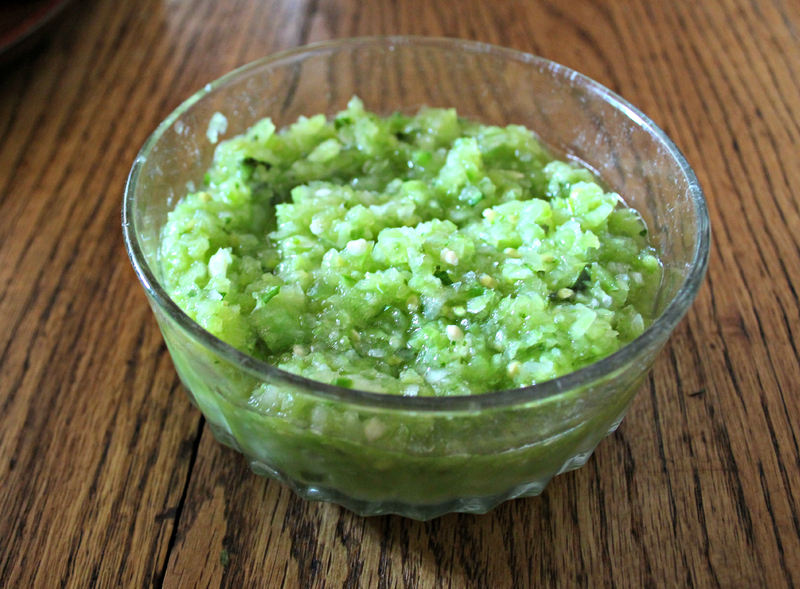 Add the onion, jalapenos, garlic, salt, and lime juice into the blender. 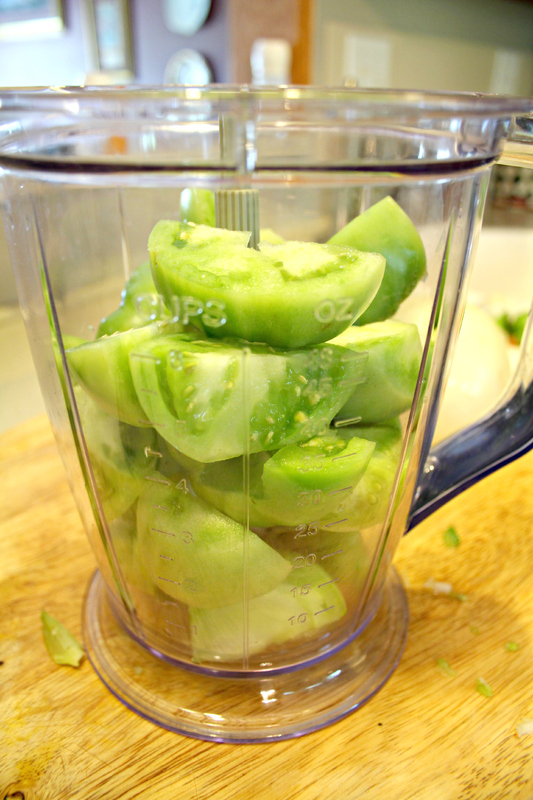 Pulse the blender to chop the salsa, but don’t over blend. The end result should look like this! Enjoy with your favorite tortilla chips! 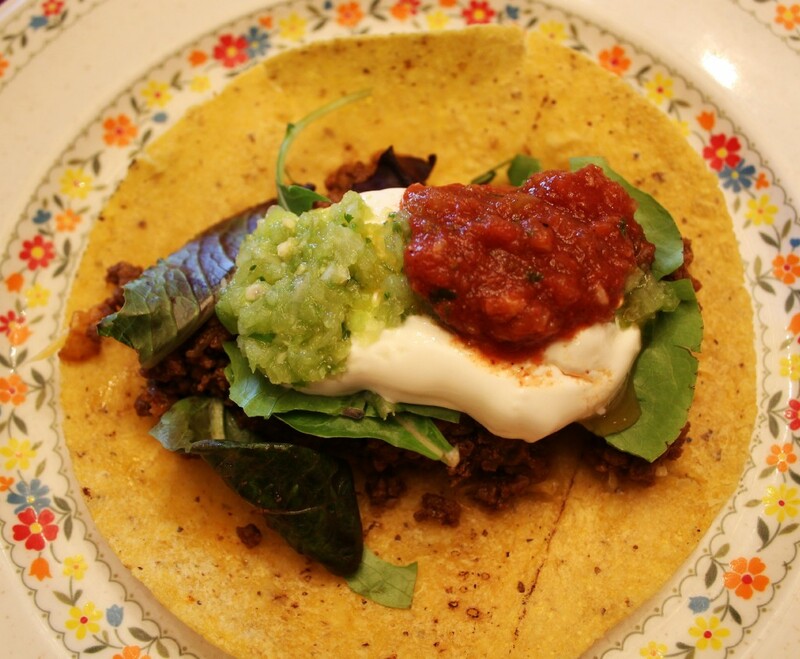 We had it on tacos this evening. Yumm! Add all ingredients into blender and pulse until blended. Enjoy! Here in Oklahoma land we have a local chain called Sonic which has amazingly yummy but horribly bad for you drinks. I happen to love their limeades, but I wanted to see if I could come up with something just as delicious, but much healthier. Move over Sonic! 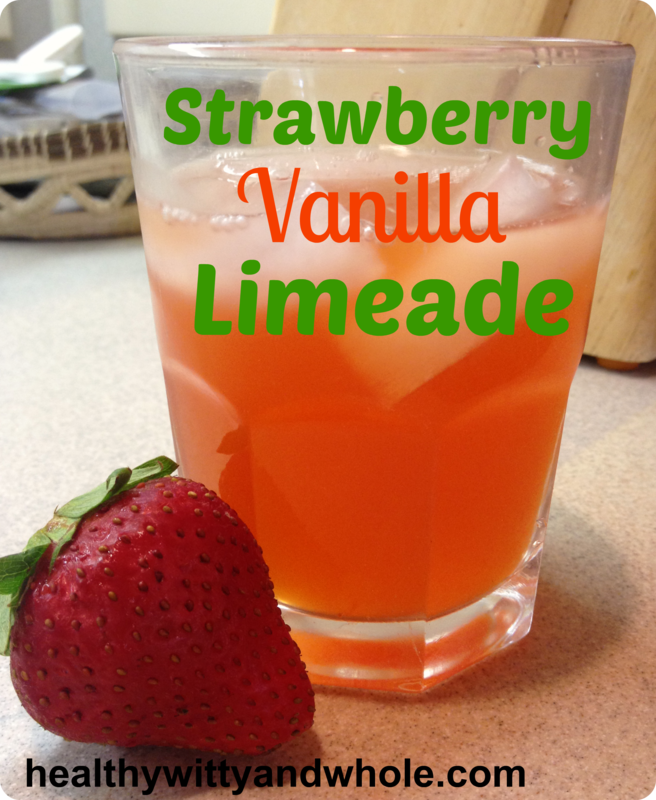 This limeade is so good, and it’s very easy to make! Juice the limes and put the juice in a small sauce pan. Add the strawberries, honey, vanilla beans and about 1 cup water and cook on medium heat for about 10 minutes. Add ice and water to desired taste. Enjoy! This is a gluten-free, grain free version of almond crusted tuna steaks. It’s a tasty main dish for a fancy dinner, yet it’s very simple and doesn’t take a lot of prep time. It’s a family favorite for when we want to splurge on tuna steak! In one bowl, melt butter and add lemon juice. 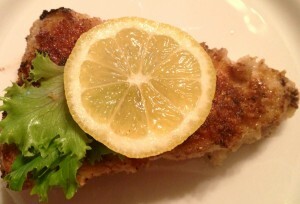 Immerse Tuna steaks in butter/lemon mixture. Mix almond flour & arrowroot flour in a separate bowl. 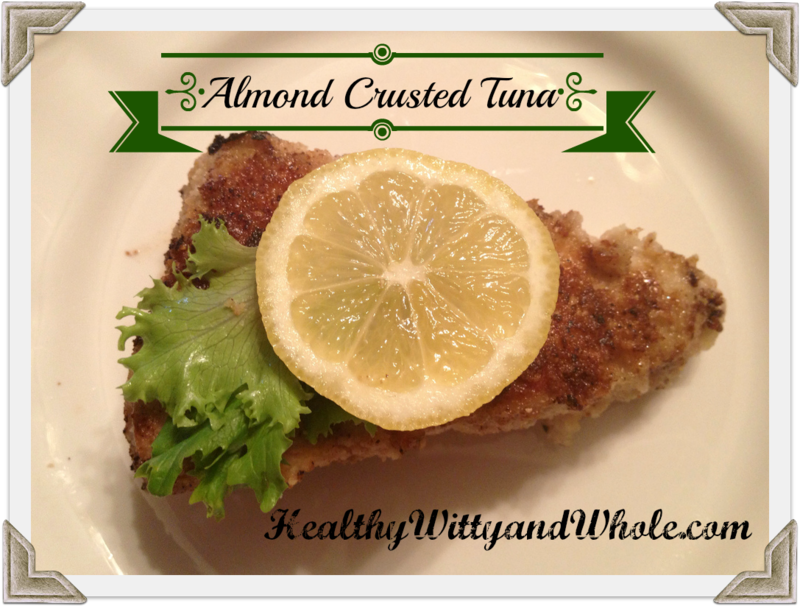 Transfer tuna steaks to the almond flour bowl and coat completely with almond flour. Place on a preheated cast iron skillet set on medium. Cook for about 5-8 minutes on each side, flipping once. On each side, sprinkle salt and pepper to taste. I’ve had a love/hate relationship with sourdough bread. Back when I first began trying to make it 3 or 4 years ago, I never mastered it and it ended up being more hassle than it was worth. 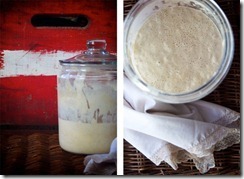 Last year, I tried making my own sourdough starter out of rye flour. It turned out great and I spent the next few months making all sorts of yummy sourdough breads, but still really couldn’t get the bread loaf down. My family went on a grain-free diet for awhile, so my sourdough starter was ruined. A few weeks ago, I decided to try again. I started my sourdough from rye flour. Many instructions will tell you wheat or rye is fine, but I’ve found that rye is the easiest to get started. It bubbles up and ferments properly without a lot of worry. After about a week, when my culture was ready, I made some no-knead sourdough bread. I made two different recipes. One was a complete flop which some member of my family said needed cutting with a chainsaw. :-) The second turned out beautifully. 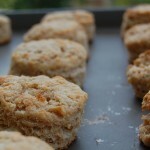 Since then, I’ve made sourdough biscuits and crackers. Tonight, I have some sourdough rolls mixed up ready for finishing up in the morning for our midday meal. I’ve made bread since I was nine years old, so I was already aware that bread making is an art and a skill. If you add sprouting grain and soaking flour to your bread making regime, then it is a new art form and skill that takes developing. Sourdough is the same way. It takes learning what the dough needs to feel like, how to handle it, what to add. I’m slowly gaining new knowledge in the area of sourdough. Eventually, I hope to have some new recipes of my own to share. For now, I’m going to share a few I’ve made and we’ve enjoyed. 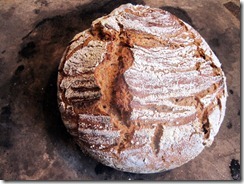 I found Jenny, from Nourished Kitchen, to have the best instructions on sourdough starting. If you follow her instructions, using rye flour (or wheat if you don’t have access to rye), then you will be on your way to making wonderful sourdough products. Once the sourdough is ready to bake with, I switched to wheat flour. If I want to bake a big batch of something, I’ll feed it a cup of flour and 2/3 cup water for a couple days and then bake with it. Stirring vigorously is very key to the success of the starter. I found that stirring it for about a minute rapidly will make it nice and bubbly and foam up like a proper, active starter should. 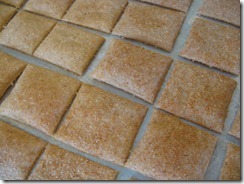 Sourdough Crackers are probably our favorite baked item I’ve made with my starter. 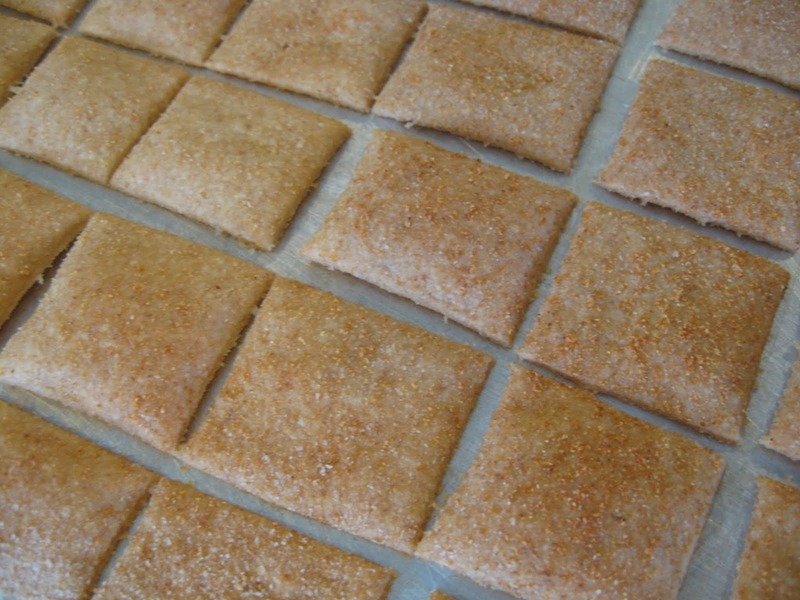 These crackers are super easy and delightfully crunchy. Don’t roll them very thin, because if you leave them slightly thicker than you would normally do for crackers, they will puff up and be beautiful, crunchy and delicious. Sourdough No-Knead Bread is a very delicious, easy bread. It rises beautifully. I made mine with Kamut flour, but I think I’ll try Spelt next time. It has a very crunchy, artisan crust. Do you have any sourdough stories? What are your favorite recipes? 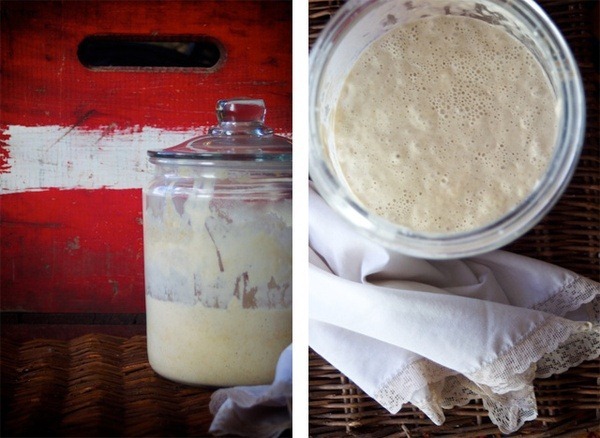 What are some recipes that you would like to see me make and share from my sourdough starter? 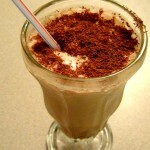 Several hours or overnight from when you want to make the frappuccino, make some strong coffee. Pour into ice trays and freeze. 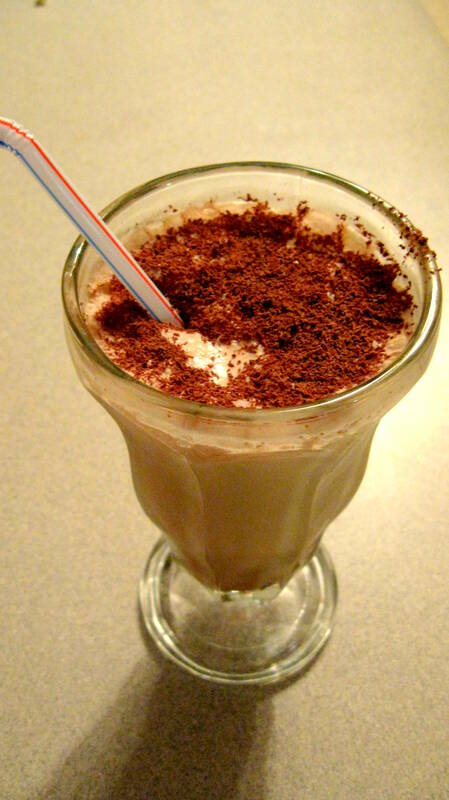 Blend coffee ice cubes, milk, maple syrup and vanilla until smooth. Pour into cold glasses and serve. Rich, creamy and sweetened with real honey (not corn syrup! ), this honey mustard salad dressing is one of our family’s favorites. 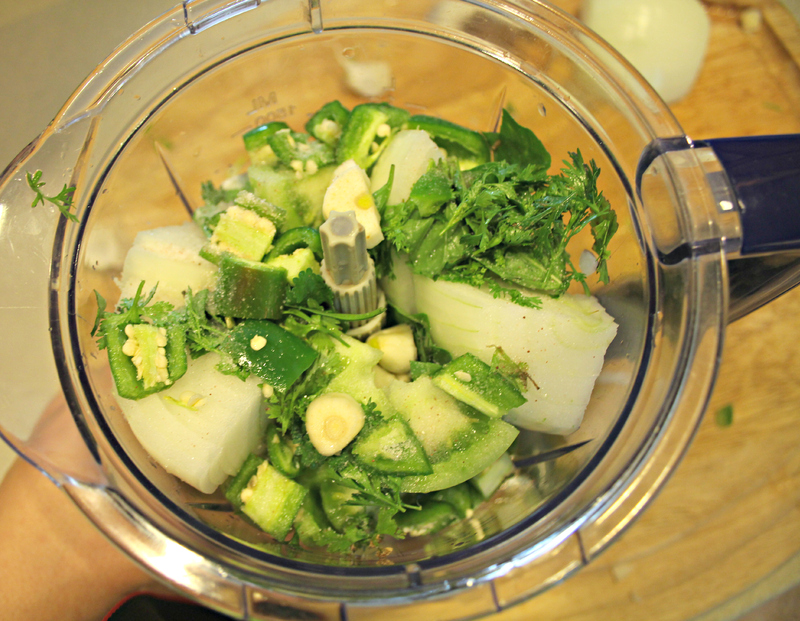 Combine all ingredients in blender and blend until smooth. Refrigerate. 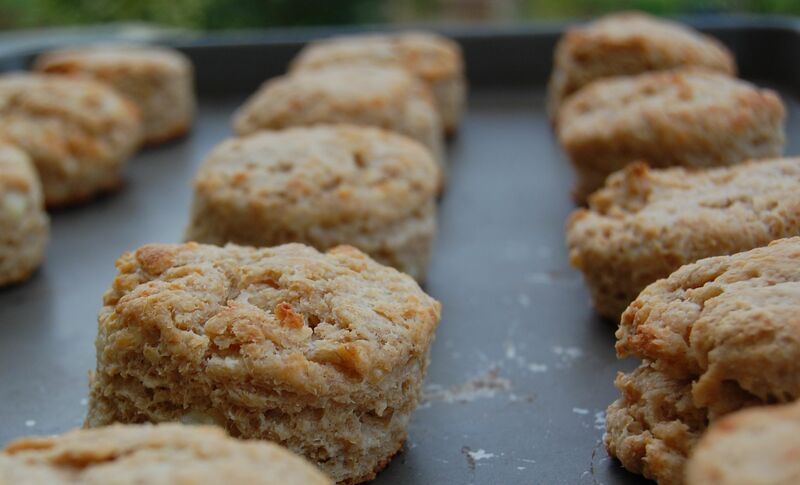 These biscuits are light, flaky and full of cheesy goodness. 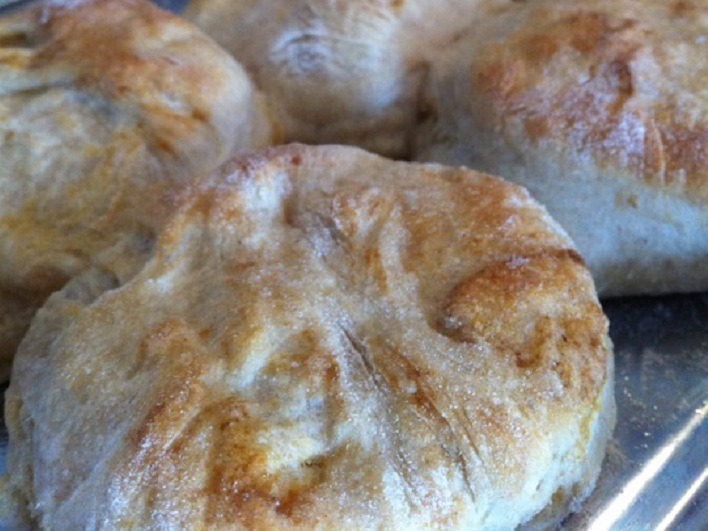 It is our family’s favorite “soup bread”. Someday, when I get my sourdough starter “restarted”, I shall post the sourdough version I came up with. It was delightful! MIX first 5 ingredients in medium bowl. Cut in butter with pastry blender or 2 knives until mixture resembles coarse crumbs. Stir in Cheddar. Add milk; stir until mixture forms soft dough. PLACE on lightly floured surface; knead 8 to 10 times or until smooth. Pat out dough into 6-inch square. Cut into 9 squares; place, 2 inches apart, on baking sheet. BAKE 10 to 12 min. or until golden brown.